Diabetes sufferers may sometimes feel like their diagnosis means a lifetime of restrictions and health struggles. This condition doesn’t have to deprive you of a life well-lived. Diabetes therapy is an arm of functional medicine that makes it possible to fully address your health condition rather than simply mask its symptoms. Minimizing and even eliminating your diabetes is possible with the right knowledge, tools, and support along the way. What you eat every day and your level of activity naturally affect how your body works. Diabetes, though, is indiscriminate. Anyone can develop this affliction no matter your lifestyle, though some people do have greater risk factors than others. Genetics: Some people are predisposed to developing diabetes because of their genetics and a family history of diabetes. However, the lifestyle you embody is what determines whether those genetics will cause the disease, or if they will remain silent. A healthy diet, lifestyle, and advanced nutritional protocols can trump genetics. Weight: Being overweight or obese is a major risk of developing diabetes. Leading a sedentary lifestyle contributes to obesity and losing weight could delay or even prevent the disease. Age: While diabetes is seen more and more often in young people, being over the age of 45 increases your risk of developing diabetes. 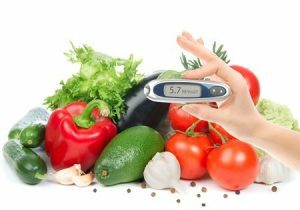 Diet: An unhealthy lifestyle and a poor diet that is lacking in nutritional value contribute to the potential for receiving a diabetes diagnosis. Ethnicity: African American adults are 80 percent more likely to be diagnosed with diabetes than non-Hispanic white adults. Also at a higher risk are Hispanics, Asian-Americans, American Indians, and Pacific Islanders. Other health problems: There are a host of health conditions that can increase your chances of developing diabetes, including high blood pressure, low HDL, high triglycerides, vascular disease, and polycystic ovarian syndrome. A history of gestational diabetes or prediabetes also makes you more likely to develop diabetes. Diabetes is no longer a disease of the elderly, as it was once believed to be. This problem has been growing exponentially, and affects far too many youths because of widespread poor lifestyle habits. The number of diabetic or pre-diabetic Americans numbers over 108 million. Of the children born after the year 2000, 1 in 2 will have developed diabetes by the time they reach high school. Diabetes is a preventable and controllable disease. In some cases, diabetes can be reversed with proper lifestyle changes. However, common medical treatment does not reverse this disease. While medication lowers blood glucose numbers, it does so artificially and does not correct the underlying cause of the problem. Thus, diabetes often gets worse. Living the same lifestyle you always have after receiving a diabetes diagnosis but attempting to make your choices acceptable because of pharmaceutical intervention is an effort in futility. Even with medication, blood glucose numbers will rise again and more medication will be needed to keep the glucose numbers down. This approach is a downward spiral that causes a steady decline in glucose health and overall health and could even lead to heart attack, stroke, eye disease, and more. Diabetes therapy is a natural approach that can help your body defeat this disease. Empower yourself with knowledge and the help to combat diabetes. Managing hormones: Hormones control many things in your body. When fat-storing hormones like insulin are being released, your system shifts into fat-storing mode. Your body makes energy from sugar or fat, and insulin and other hormones tell your body to store fat and rely on sugar for energy. Being stuck in sugar-burning mode drops your blood-sugar levels, causing your body to react to elevate sugar levels. This fluctuation in blood sugar will cause insulin spikes throughout the day, which can lead to weight gain, premature aging, and diabetes. The key is to flip your hormone balance into fat-burning mode to prevent the drastic ups and downs in blood sugar levels and prevent insulin spikes. Carefully choosing what you eat: What you eat is a major factor in determining which hormones dominate your body. Many Americans eat foods high in carbs or sugar that cause spikes in blood glucose and insulin. But even high-protein and low-carb diets can cause insulin spikes. It’s essential to eat the right types of fats, proteins, and carbs to balance hormone function and blood glucose levels. With nutritional support, you can achieve this balance without depriving yourself of the things you love. Being deliberate about when you eat: We are told that eating breakfast, snacking, and not skipping meals are essential to weight loss and good health. But did you know that your body is prone to burning fat in the morning hours? Interrupting your fat-burning morning with a breakfast bar can be detrimental to your body’s self-regulation. One of the fastest ways to stop the fat-burning and get stuck in sugar-burning and fat-storing is to eat a meal while your body is happily burning fat. This doesn’t mean you should always skip breakfast, but it is essential to know the best times to eat for your body. When you eat, your body gets the message that it must store food for energy. Constant snacking doesn’t give your body a chance to start burning glucose properly, burn fat properly, or regular hormone balance. You don’t already need a diabetes diagnosis to benefit from diabetes therapy. Type 2 diabetes is often preventable, no matter your risk factors. If you know that you are predisposed to developing diabetes, common sense should prevail as you make lifestyle and food choices. It’s not easy to always make the right choices on your own. And that’s why diabetes therapy can help. Diabetes is not a life sentence that must be endured. Empower yourself, take control of your diabetes. Make your appointment at the Restorative Wellness Center in Ann Arbor to meet with Dr. Daniel Geck about the options you have for a better future and better health, with or without diabetes.